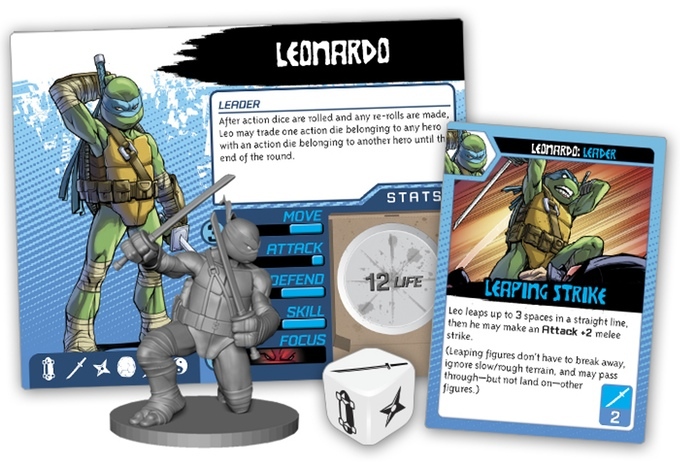 The designer of Descent is bringing a Teenage Mutant Ninja Turtles dungeon-crawling board game to Kickstarter. Some of us like to pretend certain films don't exist. Leave us our comic books, our cartoons, our pizza-flinging vans, even our Secrets of the Ooze - all we ask is that you do the heroes in a half-shell justice. 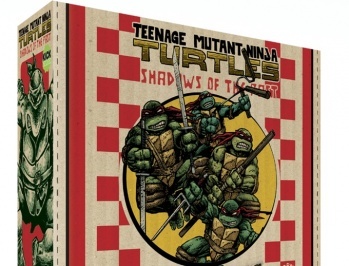 So it is with some trepidation, and a little excitement, that I came upon the Teenage Mutant Ninja Turtles: Shadows of the Past board game Kickstarter. 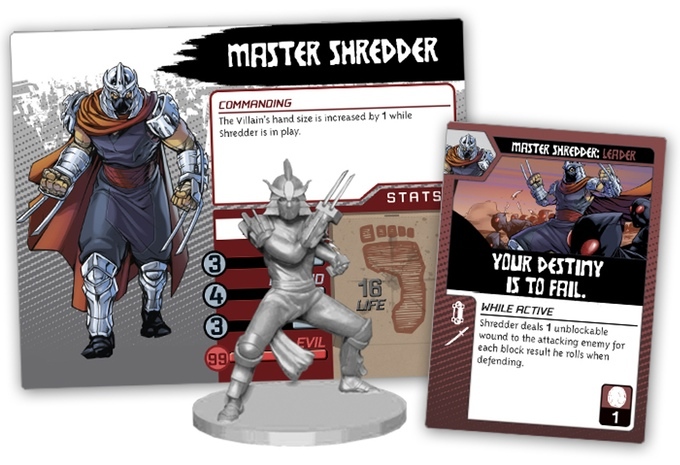 It's going to be a campaign-based, dungeon-crawling board game, with full support from IDW and even Kevin Eastman, co-creator of the Turtles, himself. Those of you thinking the game looks like Fantasy Flight's Descent, well, you're not wrong: it's being designed by Kevin Wilson, the creator of arguably the best dungeon-crawling board game around (commenters, feel free to prove me wrong). So the game has a good pedigree, to say the least, but is it worth shelling out $90 for? As you might imagine, it's shredding through stretch goals, which means plenty more plastic and nostalgia for you to play with. 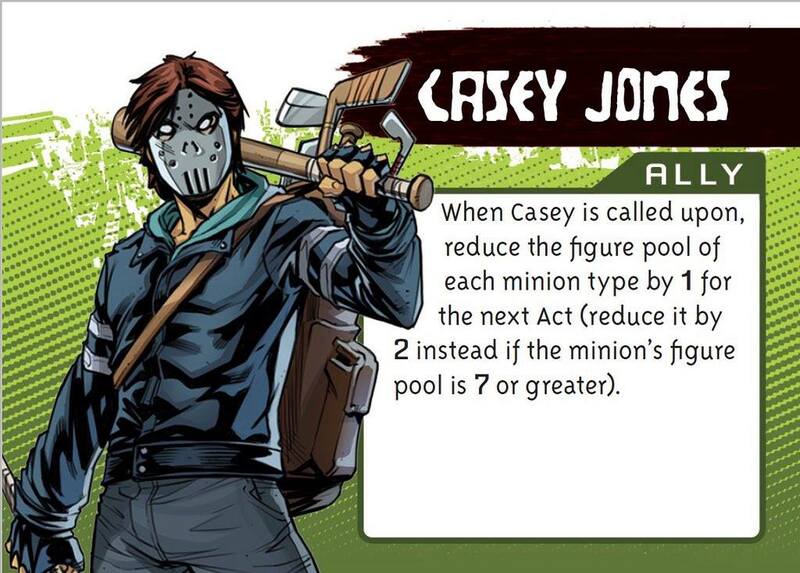 April O'Neil and Casey Jones have already been upgraded from recruitable "allies" to fully-fledged heroes themselves, able to do battle with Shredder's Foot Clan ninjas and gain abilities across multiple scenarios. Maybe most intriguing to those who haven't played Descent or its descendant, Star Wars: Imperial Assault: the villains are all being controlled by another player, who is also levelling up their own nefarious powers as the game progresses. What's more, this marks another win for IDW's board game publishing arm: they've been picking up steam lately, and matching excellent designers to under-used licenses. Most recently, they got Risk: Legacy's Rob Daviau on board for V-Wars. They've even got an alternate art pizza box. 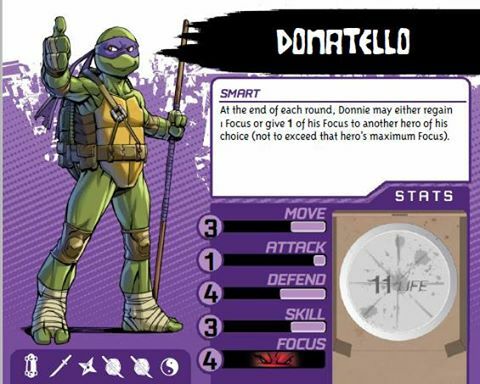 At this point I'm not sure what more I could ask for - maybe if Donatello wrapped it up with a bō?